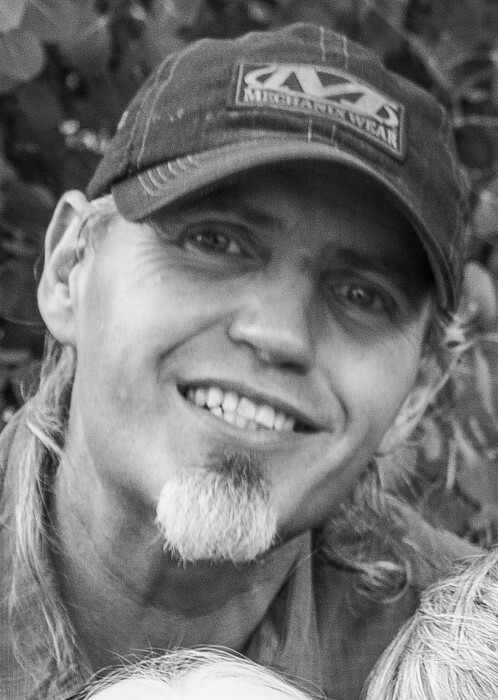 “Kurt” Donald Kurtis Nelson, 49, passed away January 25, 2019 in Salt Lake City, Utah. He was born June 3, 1969 to Keith and Sondra Nelson in Columbia, Missouri. Kurt was a free spirit with the will to hitchhike to his next adventure. He was a generous soul who would do anything and gave everything if he felt someone was in need. Kurt enjoyed his hard rock music, playing the guitar, only if he thought no one was listening, the color black, treats, especially cinnamon bears, being mischievous, just about any sports particularly the San Jose Sharks, his long hair but more than anything he loved his family and friends. When he decided to do something Kurt was all in and was known for being one of the hardest workers especially when he worked with his father. Kurt was very private and did not like his picture to be taken or anyone making a fuss over him. He always wore a baseball hat and almost never wore pants, he preferred shorts even in the dead of winter. He was an excellent athlete and loved to night ski and snowboard. He was always up for a water fight, food fight, baby powder fight, really any kind of fight! Kurt is survived by his parents, Keith and Sondra, his siblings: Stefanie (Ryan) Lecomte, Kara (Nathan) Hammack, and Spencer (Gigi) Nelson, his special friend, Christine “Chris” Perkins and many nieces and nephews. He was a loved son, big brother, uncle, nephew, and cousin who will be very missed. Funeral services will be held Wednesday, January 30, 2019 at 11:00 AM in the Anderson & Sons Lone Peak Chapel, 6141 West 11000 North, Highland. A visitation will be held from 9:45-10:45 AM prior to the services. Burial will be in the Highland Cemetery. Please share a memory at andersonmortuary.com.